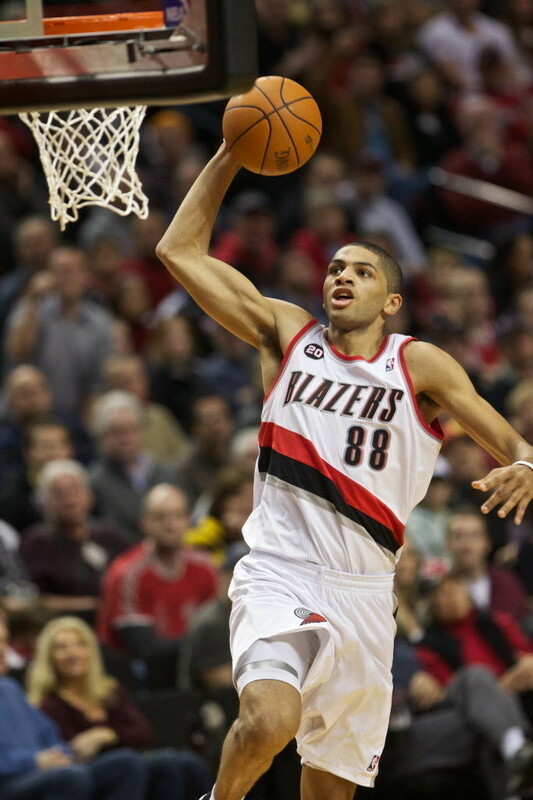 After beginning his professional career at Le Mans (PRO A), Nicolas has moved on since 2008 to the Portland Traiblazers, where he became one of the major players in the American League (almost 20 pts, 6 rebounds, 5 assists average this season). 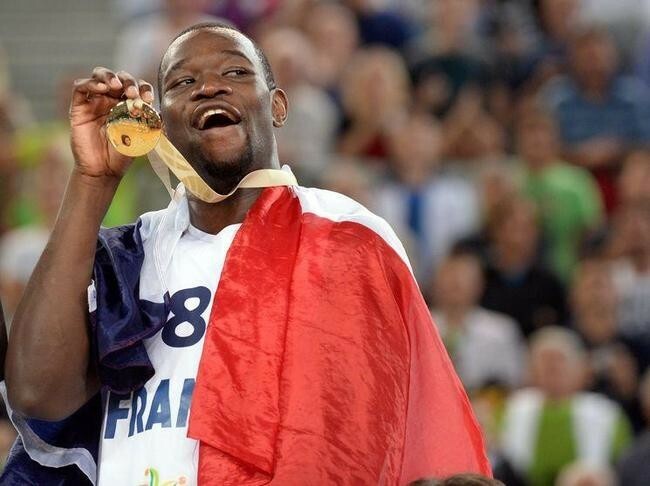 He is a key part of our French team -- European vice-champion in 2011 and quarter-finalist at the London Olympics in 2012 and European champion in 2013. Trained with Chalon sur Saône (PRO A), Thabo arrived in the NBA in 2006 with the Chicago Bulls where he remained for three seasons. 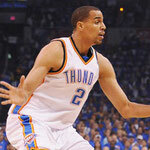 He has joined the Oklahoma City franchise since 2008. 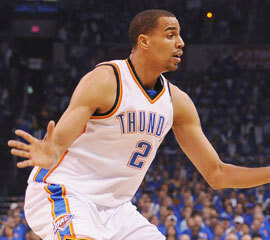 An Excellent defender (elected in 2010 in the "NBA All-Defensive Second Team"), Thabo was an "NBA Finals" finalist in 2012. 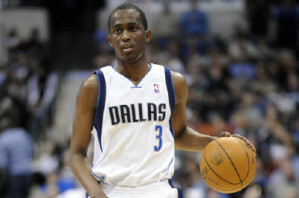 Trained with Cholet Basket (PRO A), Rodrigue has progressed in the NBA since 2009 with the Dallas Mavericks. 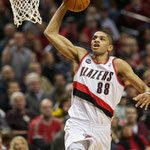 A great 3-point shooter and with exceptional speed, he has scored up to 40 points in an NBA game. Rodrigue is for now the only Euro Pacé player to be NBA Champion (2011)! During his 1999 participation, Johan was starting basketball and already measured 2m02! 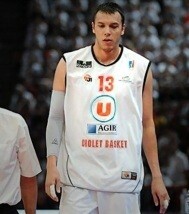 He was then noticed by the leaders of French clubs... he was playing basketball for only three months and his career was launched! He now measures 2m17, and has played with many NBA teams: the New Jersey Nets, the Denver Nuggets and the Seattle SuperSonics. He was European champion with the French team in 2013. Ian has progressed with many Greek league teams, including the very large teams of Olympiakos Piraeus and the Athens Panathinaikos, with whom he won the Euroleague in 2011. 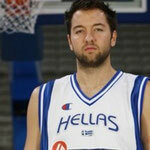 (The first Euro Pacé tournament player to win the Euroleague!) He now plays in Kazan in Russia. Greek and international, he participated in the World Championships in 2010. After beginning his career in Vilnius Lietuvos Rytas, Martynas joined Olympiacos Piraeus, with whom he won the Greek championship and the Euroleague in 2012 - the second player of the tournament to win this prestigious competition! 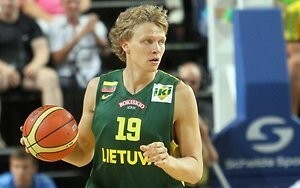 Lithuanian and international, he was a bronze medalist at the world championships in 2010. Trained in Vilnius, Simas has won numerous European championships -- 2 Lithuanian championships, 1 Spanish championship, 1 ULEB Cup. He's playing in 2013 in Locomotiv Kuban. Lithuanian and international, he was a bronze medalist at the European Championships in 2007 and at the 2010 world championships. He also participated in the Beijing Olympics in 2008 and the London Olympics in 2012. 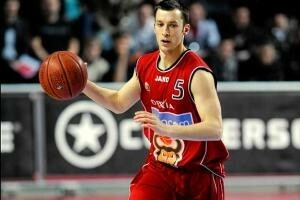 Saulius' little brother, Mindaugaus has progressed in Malaga (Spain), with whom he's played the Euroleague. He plays a major role in the team. Silver medallist at the European Championship in 2013, beaten by France. A player and essential part of Le Mans Sarthe Basket since 2009, he shines brightly on the French scene but also the European scene. A European champion with Team France in 2013, vice-champion of Europe in 2011. Standing 2m17, Romain currently plays in PRO A at Strasbourg, after playing with Le Havre and Cholet where he competed in the Euroleague. Having progressed in the Lithuanian, French (at Gravelines), Slovenia (where he played the Euroleague with Ljubljana), Polish, and Latvian Championships, he has now returned to Lithuania. Having played European Cups such as the Euroleague with Wroclaw (Poland), he is now playing with Vilnius Salakai in Lithuania. Aivaras is known for having won numerous dunk contests. 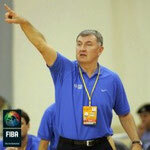 Has remained loyal to the Liège club for many years, with whom he has played Euroleague and Eurocup games.... He joined Brussels in 2012 to raise the capital's club to the Belgian first division. 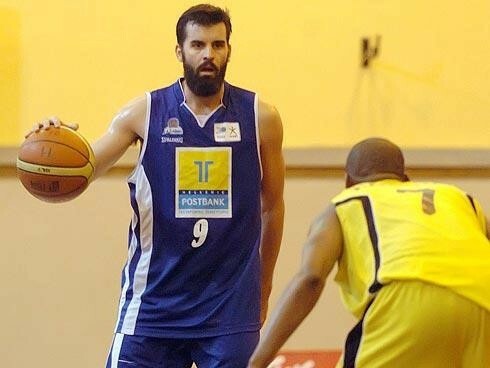 After playing for four seasons in the second division Greek championship, Michael has progressed since 2007 at the highest national level. He has played with Ilysiakos since 2012. 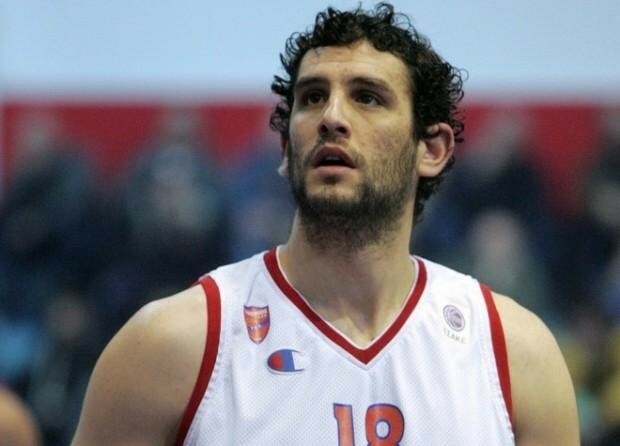 A fan of the show, he won the dunk contest the Greek All Star Game in 2006. Paok Saloniki, also completing for the European Cup. Ian's little brother Ian (even if he measures 2.08m! 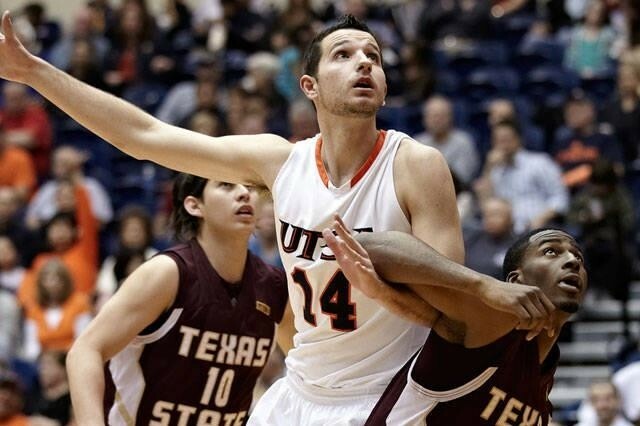 ), trained in the U.S. at the UTSA College, Alex has been progressing since the 2012 season in the Greek first division championship. For the 2013-2014 season he will be flying the colors of Ikaros. Jonas was 40 years old when he came with his team ... three months after, he took charge of the professional team of Zalgiris Kaunas, with whom he won the Euroleague in 1999. Coaching clubs at a top European level: Zalgiris Kaunas, Lietuvos Rytas Vilnius, Olympiacos Piraeus, CSKA Moscow. 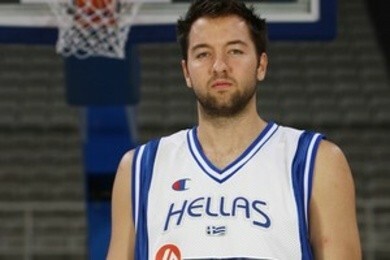 (¼ final Olympics Beijing 2008), Greek (bronze medal at the 2009 European Championships). 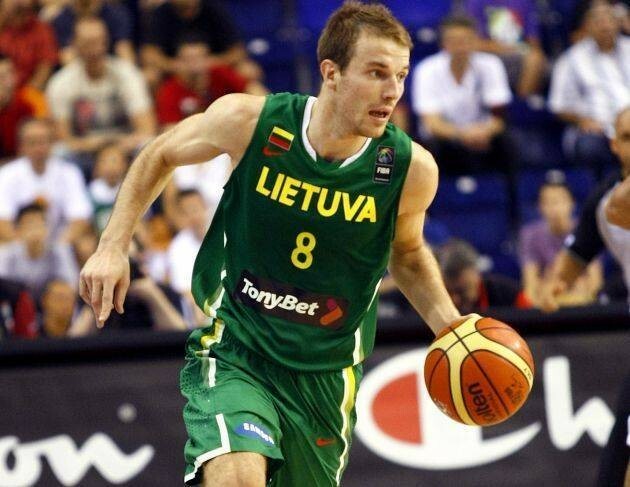 He took over the Lithuanian selection since 2012, and won the silver medal at the European Championships in 2013. Laurent was 24 years old when he came with his team. French PRO A coach for the Seals, Cholet, and Toulouse clubs, then in the Women's League with major European clubs USVO Valenciennes, Ekaterinburg (Russia), Nantes-Rezé. Back to his roots in 2014: he now leads Cholet Basket. 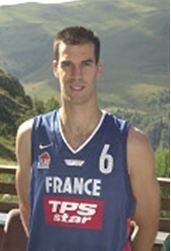 A master player for over 10 years in PRO A (from 1994 to 2004 in the Le Mans, Besançon, Montpellier teams), Erwan then played for two seasons in Pro B (Orleans, Mulhouse), before ending his career in N2 with Aurore (Vitré) from 2006 to 2010. A successful career for the Pacé native who returned to Pacé to reintegrate into the environment. If you come to the tournament, you may have the opportunity to meet him -- Erwan comes regularly to the tournament. A player who passed through Yugoslavia, Serbia, Russia, Greece ... Vladimir played many European Cups with Euroleague. 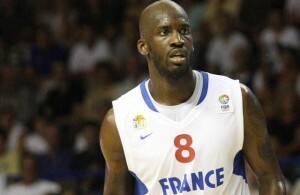 A great hope of French professional basketball, he discovered the France A team at 19. 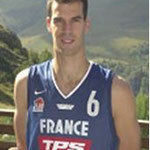 David passed through Cholet (with whom he won the France Cup in 2009), Strasbourg and Gravelines. 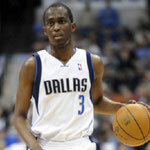 There was rapidly talk of him going to the NBA, but significant injuries forced him to end his too short career in 2007.